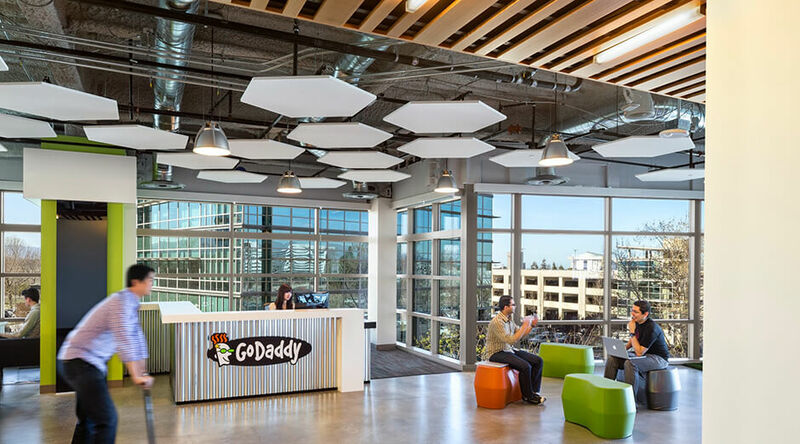 Located in the Moffett Towers, GoDaddy Sunnyvale also has access to a variety of shared amenities. 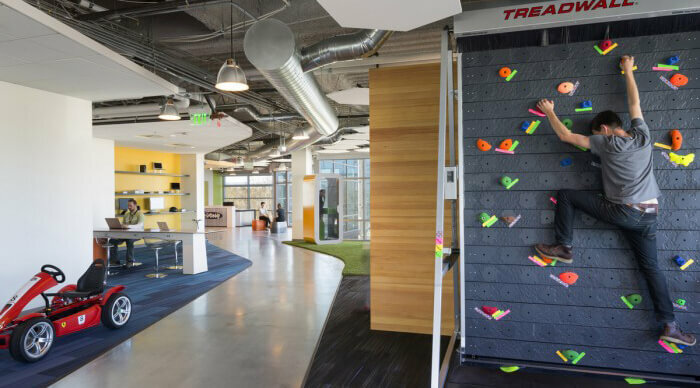 The Towers are home to a 48,000 square foot fitness center offering amenities such as a pool, exercise area, as well as a café for healthy post workout treats, or if you’re hungry for a snack throughout your work day. 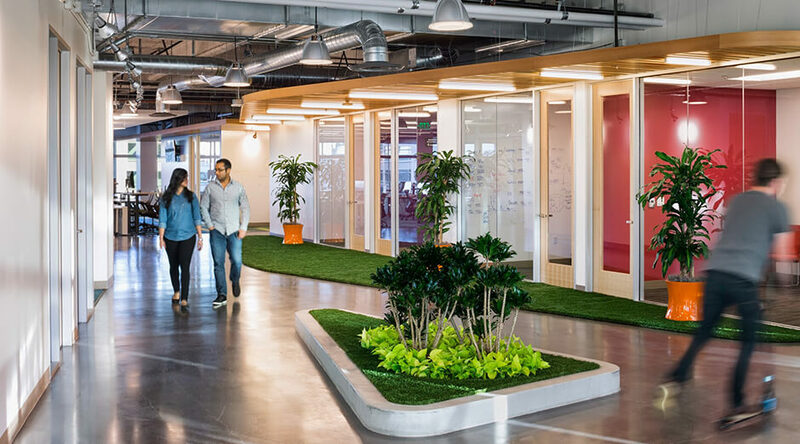 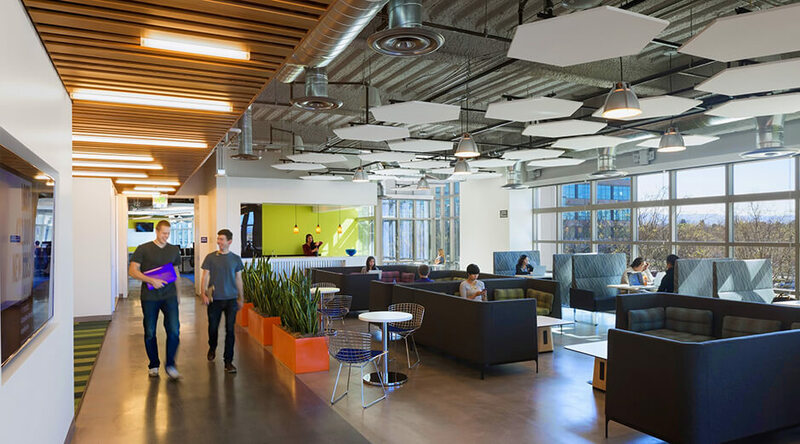 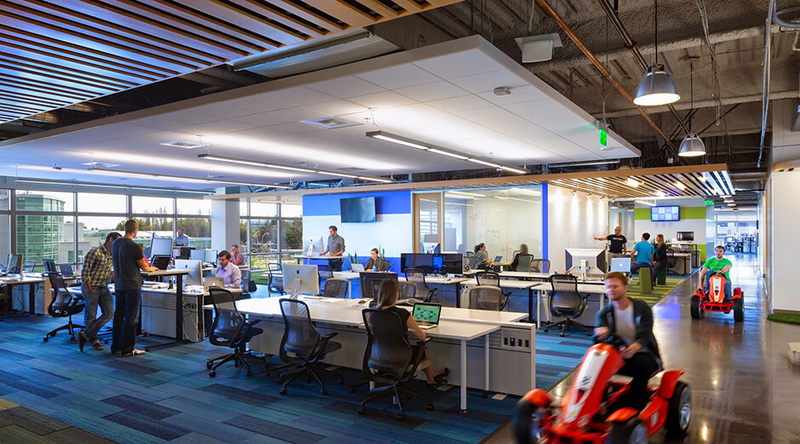 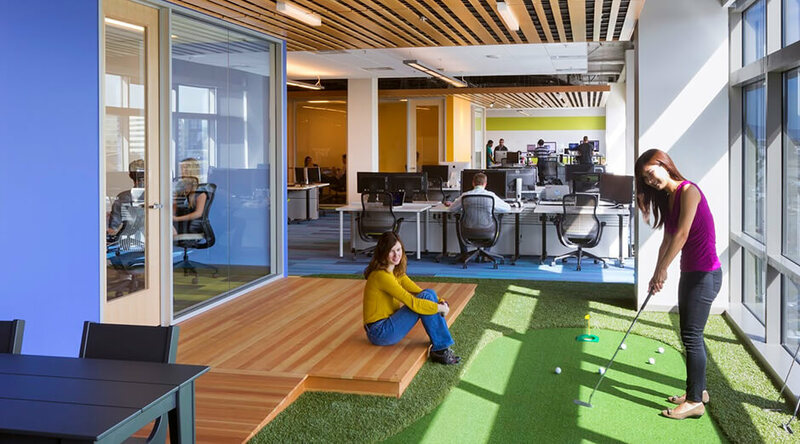 GoDaddy's Sunnyvale office itself, sitting at 40,000 square feet, has the space for even more great employee-friendly amenities. 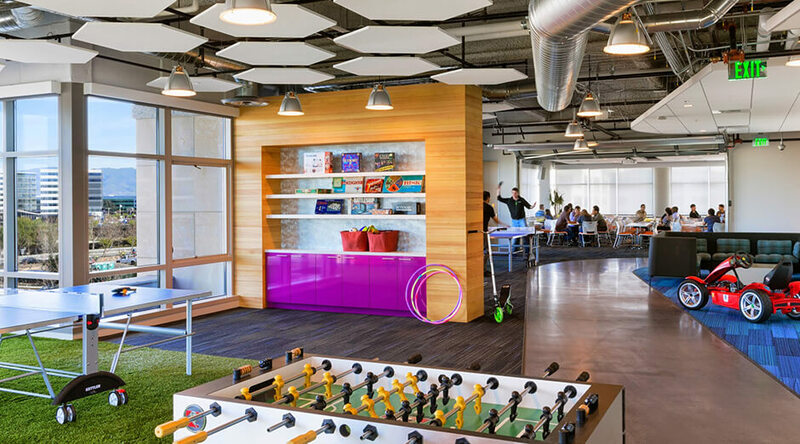 These amenities include a figure-8 pedal kart race track, gaming areas, ping pong and foosball tables, and even a rotating rock climbing wall! 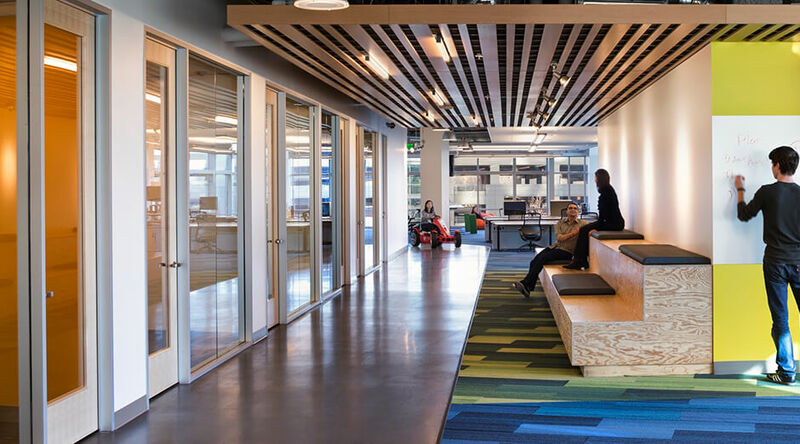 All buildings are equipped with a variety of modern life-safety features, which include a wet sprinkler system with flow detectors, smoke detectors, manual pull stations, egress stairwells, a firefighter emergency air system, areas of refuge and an elevator recall system. 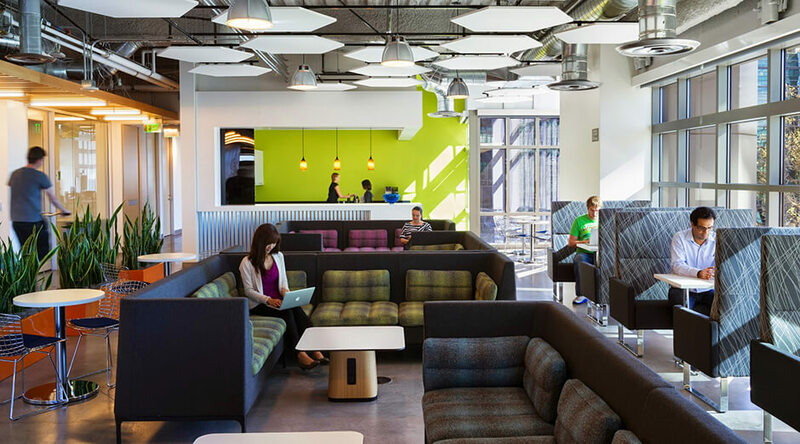 Great location benefits like these helped GoDaddy Sunnyvale win the Gold Nugget Grand Award for Best Interior in 2014.